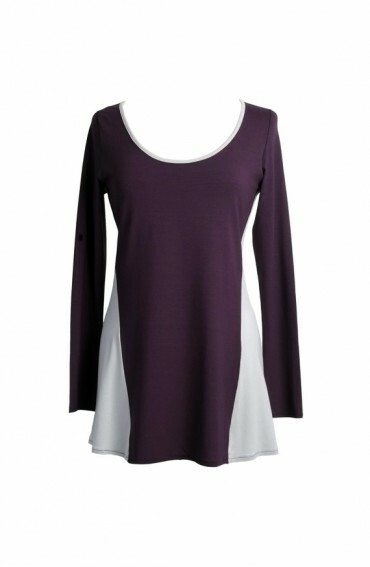 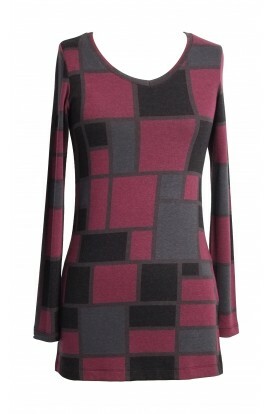 Maroon long sleeved scoop neck tunic with contrasting side panels and sleeves in grey. 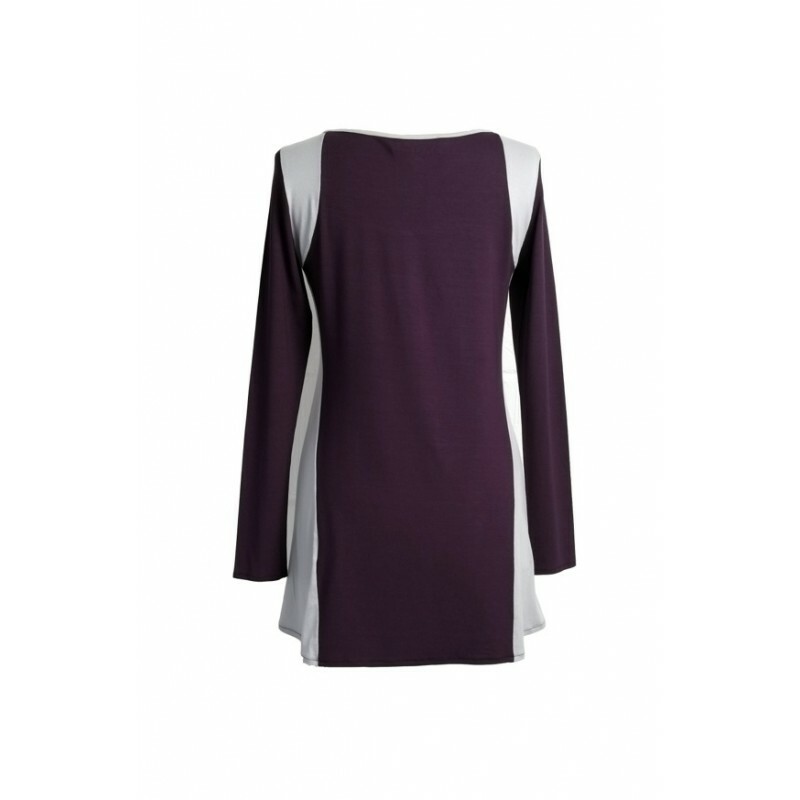 Flattering neckline has a grey binding for the elegant touch. 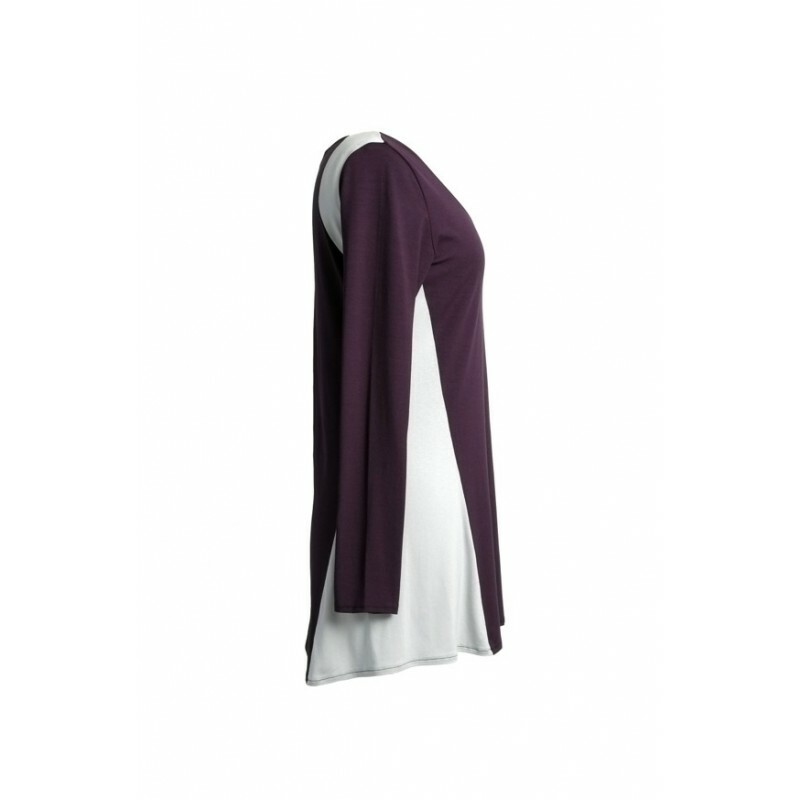 It measures 76cm from top of the shoulders to the hem.